Editor’s Note: Jason Phillips is the CEO of the Friant Water Authority, as well as a member of the Board of Directors with the San Joaquin Water Infrastructure Authority (SJWIA), which is behind the building of Temperance Flat Dam. Editor Patrick Cavanaugh sat down with Jason Phillips, and this interview reflects the topics discussed. Cavanaugh: The California Water Commission rejected all of the storage proposals for Prop 1 money due to all applicants not showing enough in the public benefit ratio. They have all appealed to the Commission, and their decision will be at the end of July. It’s extraordinary that the California Water Commission does not see groundwater recharge as a public benefit. Phillips: The law was written in such a way that groundwater recharge, which is what we desperately need, is not considered a public benefit. But I must say that the SJWIA team putting together the application did a great job of using water out of Temperance for multiple benefits, including salmon and keeping water in the valley for groundwater recharge, and I hope the Water Commission can see that. Cavanaugh: The Commission requires a 1:1 ratio, meaning for every $1 spent on the project, it must benefit the public by $1. Temperance Flat Dam was shown that for each $1 spent, it would give back $3. Phillips: That’s right, and that’s what is necessary. Anybody who looks into what salmon requires surviving—well, it's cold water. So the ability to generate more cold water in the upper San Joaquin River is nearly impossible. So if you can get a new reservoir over 600 feet high and have a cold water pool, that would provide a benefit. And that's what the consultant looked at. The commission in their initial analysis assigned zero benefits to salmon, so that's why we got such a low score. But if you look at alternatives to trying to provide that salmon benefit in the river, there aren't a lot of other options, which is why it's such a significant benefit for Temperance. And again, it's not sending the water out of the valley by sending it to the San Joaquin River and recirculating it back to growers and cities ... so that we can get the groundwater recharge. Cavanaugh: Of course, Temperance Flat Dam will triple the current storage of Millerton Lake, and a significant benefit will be groundwater storage? Phillips: It would almost exclusively help groundwater storage because the surface supplies that are generated in Temperance would be used to supplement what's being pumped, so people can put that water in groundwater recharge basins or they're able to use the water and not have their groundwater pumps running. That is the absolute best form of recharging, is somewhat able to shut their groundwater pump off, have a delivery of surface water instead of that, and let the natural recharge take place. Cavanaugh: Let's talk about the new $8.9 billion water bond that will be on the November 2018 ballot and written by Jerry Merel, a former deputy director of the California Department of Water Resources and a longtime water-project advocate. Phillips: About 18 months, Jerry had a conversation with me about what would the San Joaquin Valley need in a water bond to help get it out of the problem that ... it's in with groundwater overdraft? And recognizing that Prop 1 was the state's path for Temperance Flat and that there's a different path for the tunnels, north of the Delta. So those two are not part of this November 2018 bond. And I told Dr. Merel at the time that we needed to fix our canal system. We have to be able to move water when it's available to the growers, into the cities, and never miss a drop of available surface water. And to do that, we have to fix the Friant–Kern canal and the Madera canal. We have to expand the conveyance between the existing canals. And he thought that was a great idea. It’s something that should have broad statewide support. It has support from conservation groups up and down the valley. Cavanaugh: Is this specifically for canal infrastructure repair? Phillips: It is specifically for infrastructure for conveyance projects that would help recharge the groundwater aquifer. Cavanaugh: The $9 Billion has a lot of water for all regions of state? Phillips: it’s broader than just infrastructure. It targets the different regions of the state for what they need most. Recycling and desalination are huge for the southern California coastal community. So it targets cost sharing money there. If you go to northern California, there are things that Sacramento rice growers really need to support their water needs. In the central valley, it's more water infrastructure for conveyance that can complement new storage and water conveyance in the Delta. It also includes a lot of money to help the groundwater sustainability agencies fund their plans that are required under the groundwater law. Cavanaugh: Prop 1 was $2.7 billion, and this one is nearly $9 billion. Phillips: That is... it is real money. And I think what California will realize is that there's a real need for that. And when you look at the size of California, and it's projected that the bond money will be used as far south as San Diego and the Salton Sea and as far north for repairs at Oroville. When you look at the scope of the state of California ... you see that the need is much bigger than that, when it comes to the state's water infrastructure. And regarding the $2.7 for storage—on top of that, the projects will require substantial private investment. And we are all looking at that, and I think there's a lot of interest. There's still a need for more storage to the extent that even the water agencies themselves and the growers that are part of those agencies are willing to fund. And we're still looking at whether the state or federal governments will help cost share it. Cavanaugh: if the California Water Commission never funds Temperance Flat, is it possible to get it privately funded? Phillips: Friant Water Authority and other water agencies in the valley are actively and aggressively looking at that right now, doing our feasibility studies to look at whether privately financing the reservoir would make sense. I think it probably will, but it's a very complicated analysis that we have to do. So by the end of the summer, we'll hear from the Water Commission, and we should know more about the feasibility of private financing will be available. Cavanaugh: Regarding the Jerry Merel water bond, where can people go to get more information? Phillips: People can go to waterbond.org. You can see whether you want to look at it in one page or whether you want to look at the actual text of the bond. It's straightforward on that website. Cavanaugh: From where would the investment for the new water bond come? Phillips: It will all be state dollars and depending on the different categories of where the funding goes. Some of it is for cost-shared work, in the San Joaquin Valley on infrastructure, where it would 100 percent bond funded. No reimbursement required and the money would come straight to the Friant Water Authority for immediate use. We've already worked with Department of Water Resources to make sure that, that when the bond passes, we could start submitting requests for some of that funding immediately to begin working on the canal, as early as November 2018. 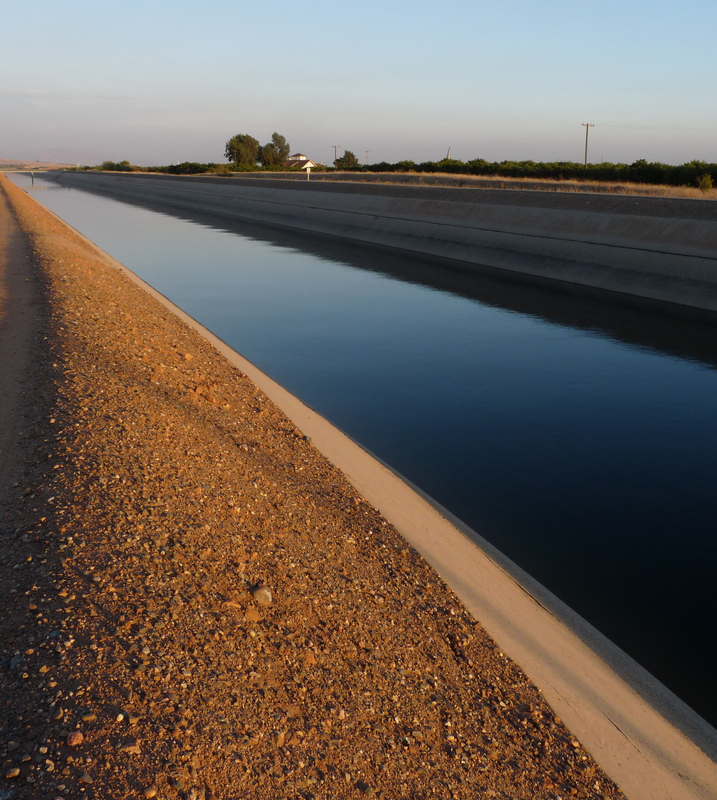 Cavanaugh: How bad is the subsidence along the Friant Kern Canal? Phillips: It's a big problem, and it's growing. The worst part of it is near the middle of the 152-mile canal, where it has subsided three feet and continues to subside. That subsidence is since 2015. The capacity of the canal has been reduced by about 60%, due to subsidence. To pass the same amount of flow through that section, the elevation of the water in the canal is very near the top of the canal. And five bridges are impacted by that section where the water comes right up to the bridge, and we're only at 40 percent of the design capacity there.